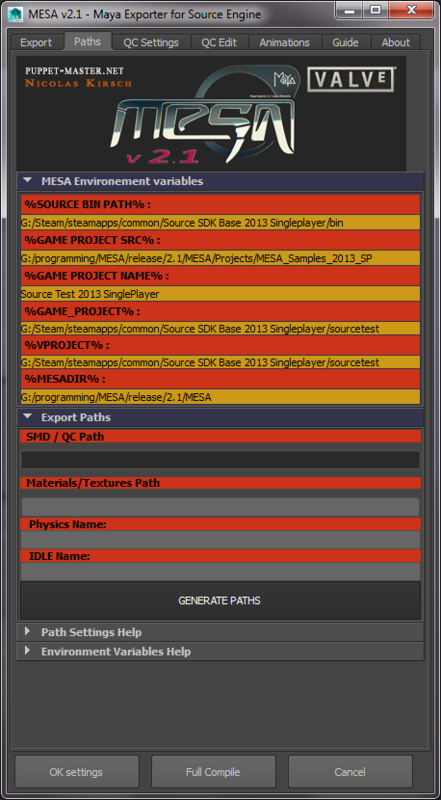 MESA 2.0 is a suite of MEL Scripts to export and import 3d models for the Valve Source Engine with Autodesk Maya. 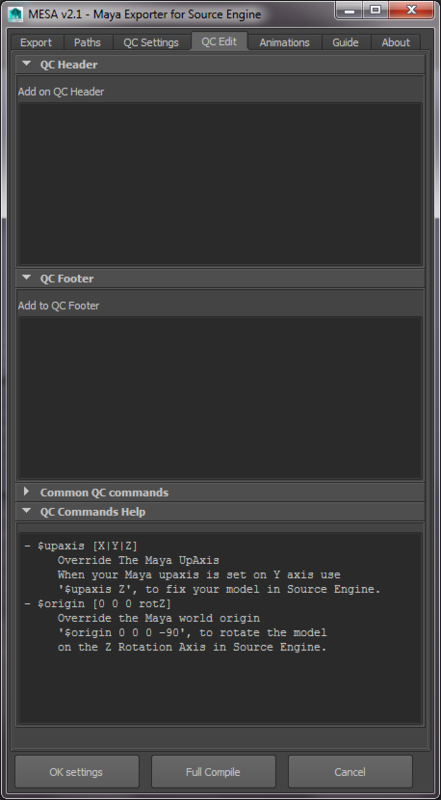 This is the short name for Maya Exporter for Source Assets. 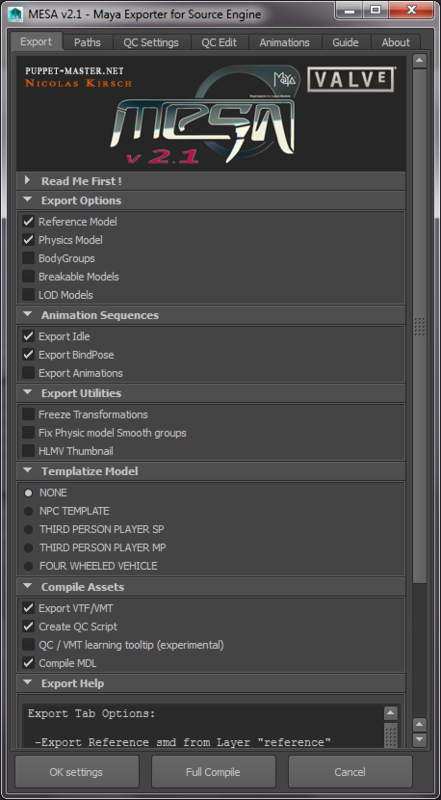 The objective of MESA, is to make the full asset creation process within Maya software interface. 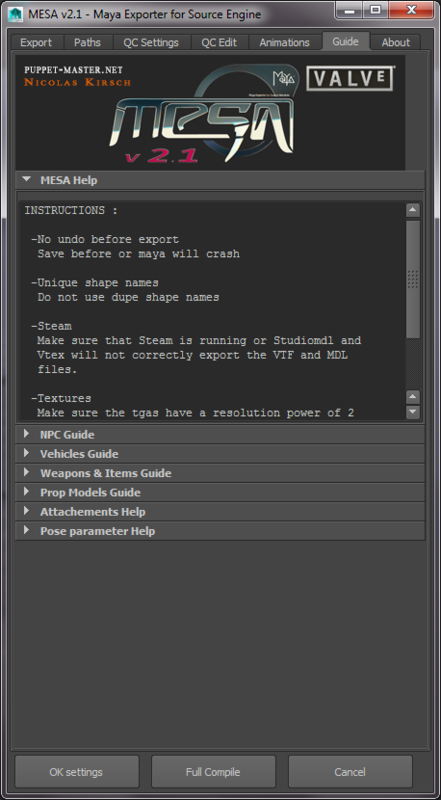 MESA can export static, physics, breakable, dynamic and ragdoll models, and supported bodygroups , It become easy to use maya to export to the source engine the NPCs (Monsters and Humanoid), Vehicles, Weapons and Items for your game. MESA is written in MEL scripts. 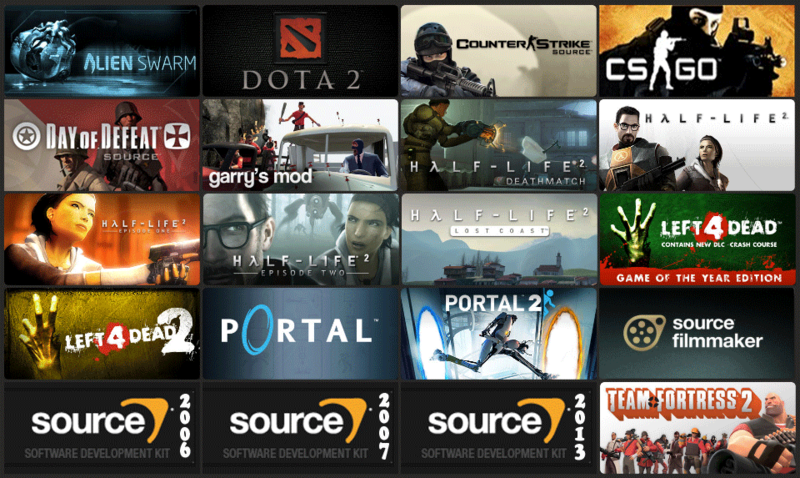 Actually all the scripts are originally designed for maya 4.5 by Valve software. 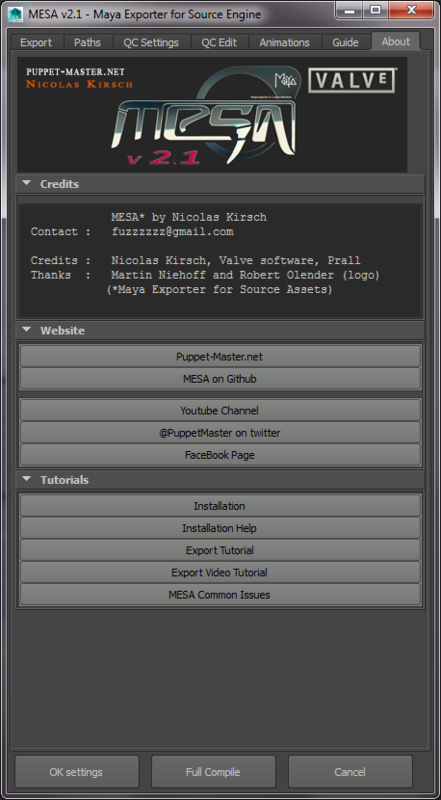 MESA is a revamp and an improved version of the old Valve exporter. MESA includes modification that was applied by Prall in his exporter version. About Panel, you can access to the important page. Some more will come next weeks. Some new improvement with the Path Tab. Qc setup new layout, new update will come the next months. 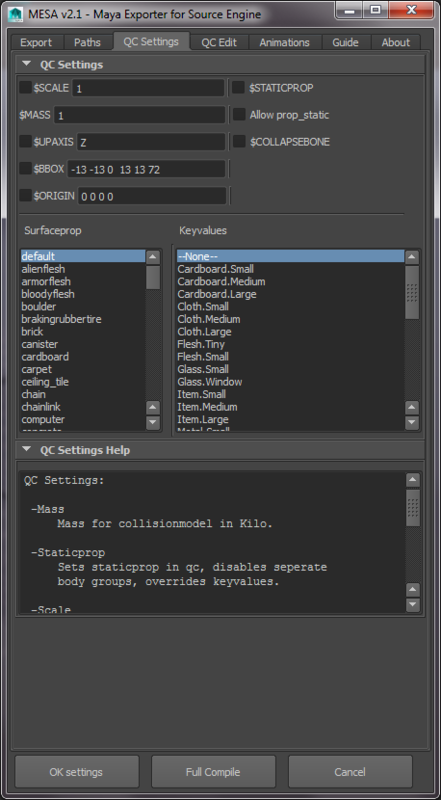 QC Edit Layout with the qc commands reference. 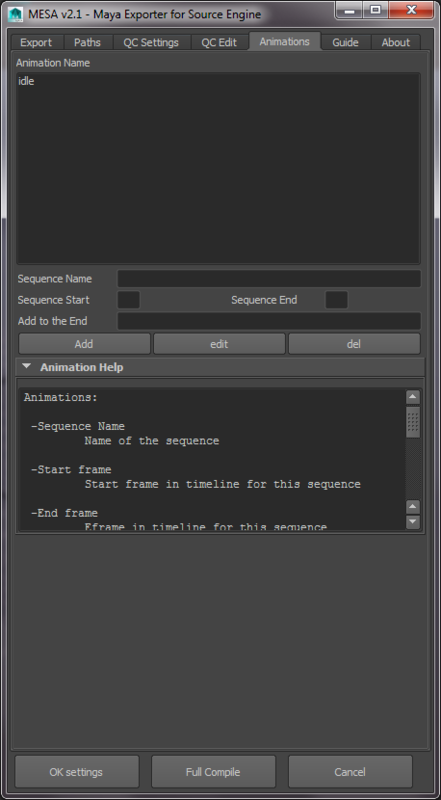 New Animation layout with Quick help for beginners. Each Tabs gets a dedicated Quick Help.